I hope that this is the most memorable retreat for all of us, especially this time since we’re going to focus on relationships. A relationship is something that we all have, and that is what I like to see. A relationship is what we are all interested in, but how little we really know about relationships. We always have some relationships with people, but how little we think about them, the dynamics or the meaning of a relationship. Everything is a relationship and relationships affects us the most, more than anything else. In almost every moment of our lives, relationships affect us and yet we are very ignorant of the dynamics of a relationship. So for the next three days, we’re going to explore together three different aspects of relationships. Tonight I’m going to talk about me, the person, I can be only understood in the context of the relationships we have. 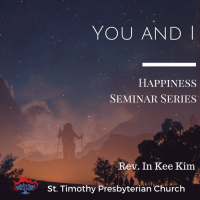 In the second lecture, I’m going to focus on if I can only be understood in the context of the relationship, what is that relationship that shapes me and defines me, and that is what I’m going to focus on tomorrow morning. Tomorrow night I’m going to focus on what should be our attitude and the third lecture will be short because it is a practical suggestion, but I’d like to hear more from you. So first you will hear two lectures and then, of course, I will give some meat to it, but you will think about it, what will be the best, what would be the most appropriate attitude to have a good relationship? So we will discuss together and you will explore together and we’ll learn from each other. So the last night, I hope that we can talk a lot. So each group talks about what we learned, what kind of attitude we should have to keep good relationships. So today, of course, I’m going to talk about Christian relationships. Christians are not the only ones who have relationships, everybody has a relationship, but of course, I’m going to reflect on the relationship from a Christian point of view, or rather, biblical point of view. What does the Bible say? What does the Bible say about the relationships that we have? I hope that we can all learn about relationships and share what you think about relationships, especially from a biblical point of view. The first proposition: I can be only understood in the context of the relationship we have. Who am I is a question we all ask. Who am I, and what is this “I”? We question a lot about this “I”. Who am I? We always ask this question, who am I? However this “I” does not exist in isolation, by itself. This “I” always exists in relationships. “I” cannot be defined on its own. God stands alone. God said, “I am who I am.” Yahweh, in English, is called Jehovah. Yahweh came from the phrase, “I am who I am.” When Moses met God in a burning Bush, “What is your name?” Moses asked and then God said, “I am who I am,” Yahweh, and from there most Bible translations, they called it Lord Jehovah, Yahweh, that’s where the name came from. I’m going to talk about it a little later to even God stands alone, but even God does not stand alone in that sense, but God can stand alone, but we, cannot stand alone. I can be understood always by the relationship that I have. So I’m connected with all these people like a matrix. When we tried to understand “I” as a separate unconnected being, I don’t understand what this is, it’s only a concept, but, when I see “I” in a relationship, then we can see what it is. As an example, let us look at oxygen. Oxygen by itself is hard to understand what it is, but when oxygen is understood in its relationship with the other elements, then we can see what it is. What is H20? Becomes water. So by yourself, it’s hard to understand. But when we connect them with our other elements, ah, that’s what it looks like, but in the same way “I” by itself. It’s hard to see what it is, but when we understand “I” in the context of my relationship with others, ah! This “I” looks like this, we can see that little bit. The whole universe exists in relationship. They moved together in relating to each other. I mean Galileo had a trouble because he said that “oh, it’s not the sun that is moving. It is the earth that is moving.” Well, you know, modern scientists say that Sun and Earth are moving in relation. It’s not that one is fixed and the other moves depending on the frame of reference, both move, but they move in a relationship. So a whole universe moves in a relationship. I am because you are and because we are, I am. That’s how they understand “I”, I am. Because you are because we are. They don’t think of “I” on its own. Always. They understood “I” in the context of the relationship with others. In other words, “I” is connected. “I” is connected with you. They didn’t see “I” as a separated, individual unit, but a connected one, “I” in the rugged individualism. “I”, as an autonomous, unconnected self, sufficient being. I think that’s an illusion. When we think about “I” separate from everything else, autonomous, self-sufficient and unconnected being. I think that’s an illusion. Sometimes we think of salvation, I go to heaven. We only think of heaven in terms of “I” going to the heaven, so very individualistic. I exist all by itself without really realizing he is very much connected with all the people around you. Without you, “I” does not exist because you are, “I” am in Christianity is not just human being that exists in relationship, in Christianity, in the Bible, even God exists in relationship. That’s what Trinity is all about. God in three, one in three, three in one. Oh, we are not going to deal with the complex theory of Trinity. All I want to say is that God, the father, God the son, and God, the Holy Spirit exists in a dynamic relationship with each other. Today we are going to read the scripture and think about these three persons do not exist in isolation. In the dynamic relationship, they interact with each other and they exist in perfect harmony. Did the relationship they have is not a dead static relationship? But a dynamic living relationship. They work together in perfect harmony. Lecture on note one, John Fourteen. 10. When you look at it, do you not believe that I am in the father and the father is in me? See, I am in the father. Jesus is in the father and the father is in Jesus. The words that I say to you, I do not speak on my own, but the father who dwells in me does his works. So father and Jesus are very connected. Even the word Jesus speaks is the word that God, the father gives from within. I mean it’s hard to understand all the dynamics, but what we need to understand at this moment is that the father and son, Jesus very connected and the Jesus uses language like I am in the father and the father is in me, not separated being. I am alone. I’m by myself, but I am in the father and the father is in me, and also when you look at the next verse, that is the relationship with the Holy Spirit, John Sixteen, 13 to 15. When the spirit of truth comes, he will guide you into all the truth. For he will not speak on his own, the spirit, he will not speak on his own but will speak whatever he hears and he will declare to you the things there are to come. He will glorify me because he will take what is mine and declare it to you. All that the father has is mine. For this reason, I said that he will take what is mine and declare it to you. When you look at it, the son and the Holy Spirit, they are connected they are not speaking on their own. They are not speaking their own opinions. They are in perfect harmony. They are speaking things together. The father gives to the son, and the son gives to the spirit, and the spirit speaks, but that was spirit speaks is connected to the father and connected with the son. So when you look at God, all three persons are moving in perfect harmony. I mean you don’t know. I mean you said God’s realm is, is hard to understand what is going on there, but what we can see is that there is a movement, perfect movement, perfect harmony in God. So God is not alone. God works in a relationship. They’re tremendous, intimate relationships going on in God’s realm. So the Trinity is not about mathematics. Three in one and one in three. The main point about the Trinity is that God exists in relationship. That’s what the Christianity proclaims. That’s what the Bible proclaims. The God exists in relationship. They exist. They work, they move in perfect harmony. They are distinct persons, distinct persons, but not divided, but united in one through perfect relationship. We are a distinct individual, but we are not divided. We are not separated. We are connected together. This oneness, oneness of harmony. Love your neighbour as yourself. What is the greatest commandment? It’s to have a relationship, to have a relationship with God, and to have a relationship with neighbours, and the characteristic of that relationship is love, God is great. Jesus’ greatest commandment is to have a relationship for all of us to have a great relationship, not just relationships, but a great relationship with God and a great relationship with one another. That’s God’s greatest commandment. The most important thing then the disobedience is that instead of building a relationship, use each other for the sake of building one’s ego and benefits. That’s the greatest disobedience. Instead of building a relationship with God and with each other? You use God and each other for your benefits and for your own personal ego. Then that is the greatest disobedience. Instead of loving God and loving neighbour, use God and use neighbour for yourself. The greatest sin is not just a moral failure, oh, I did this, I did that. The greatest sin is not a just moral failure. The greatest sin is to used other people only to satisfy one’s self-centred agenda, doesn’t matter what you do. The greatest sin and greatest disobedience is using others and also use God only to satisfy one’s self-centred agenda. Others become only tools to get what I want. All I want is me and all others exist only as tools to satisfy what I need. That is the greatest sin. That is the greatest disobedience. When we look at God’s greatest commandment is to have a relationship with one another. There is, I mean in that kind of attitude, there is no real relationship. I mean you don’t know what, what relationship is, but only self-centred and self-interested agenda. This self is corrupt self. The self is corrupted self and this kind of false identity. When you live with this kind of false identity, then you will have a false relationship with reality. When you fall into your corrupt itself and false identity, then you will relate to the world in a false way, totally corrupted way. This self-does not have to be one individual. Sometimes it is collective. I, for example, for example, Naziism that is collective “I” for us. We use everybody else to move forward our own agenda and our own interest and that is the greatest sin and greatest disobedience. Others become easily dispensable. Oh, if you’re there, if you’re not there, I will find somebody else. They are always dispensable. You move from one friend to another from one human being to another human being. As long as my needs are met, I don’t care who that is, so other people become dispensable. They are not at all connected with me. They are just there to serve my needs. There is no understanding of because you are, I am. There is no you and I. There is only I, I and I in this self-centeredness, we see a tremendous fear that I don’t matter at all. That’s why I try to make myself visible so hard. That’s why you become more and more self-centred and then you create this false identity, St Paul described us as for what? St Paul describes the church as what? Body. St. Paul Describe our existence as the body. We don’t exist by ourselves. We are the body of Christ. I am a part of a body and I am connected with all other parts of the body. The hands cannot say to the feet, I don’t need you because they both are part of the body. One part of the body hurts. Then the whole body hurts. What does this say? This is very much the idea of because you are I am because you are. I am without you. I am not. So we are very connected in that way. one plus one is not equal to two. One plus one is equal to three. That is Adam is created, eve is created and adam this created, created and the relationship is created So one plus one is equal to three. By creating eve, God created the relationship. I think that’s more important. Creation is not just the creation of the physical and material things. People understanding of creation is more focused on the quality of creation. By creating the relationship, our life is more beautiful. By creating a relationship. Adam’s life is much, much more beautiful and fulfilling. Sometimes we see things only literally so we don’t get the beautiful meaning behind it. Once at Oxford University, a professor in English class professor gave a test. Okay, can a story. Jesus turning water into wine. I want you to make your own interpretation. And then he gave the class for one hour. “I’ll be your friend. So our relationship will be friendship. I will not call you servants anymore. You and I are friends.” and he said, “what good friend does, good friend sacrificed his life for his friend. That’s what friends are like.” He showed what true friendship is. Now all of you are now called to be disciples of Jesus Christ then means being a disciple of Jesus Christ means to live your life building a good quality relationship. Be a friend to each other like Jesus did. The kind of relationship you have with others will shape you and form you will shape the kind of person you become. If you’re in an abusive relationship, then that will shape you as a certain person, but as you are in a very self-centered relationship that will shape you to become a self-centered person from when you’re young, you had been shaped by the relationship that you have consciously or unconsciously made from when you’re young. You were shaped by your parents, by the relationship you had with your parents and different kinds of friends over the years have shaped you to be who you are now. you may know or may not know, but the kinds of friends you have had all these years have shaped you in a certain way and all kinds of people you have associated with your colleagues, the people who loved you, who respected you, have shaped you in a certain way. If I didn’t do the ministry, I would have had different relationships with the people and I would have become a very different person. Now the quality of relationships I have is a quality of who I am. There was a guy that I have counselled many years ago, a council for several months. he had a big problem with drugs. He was addicted, and by the time, he came to me, he was a really, really heavily addicted to drugs, and so I met with him every week. I mean his face, his skin, everything just changed quite a bit because of drug addiction. So I, met him, every week, and then, he also developed an antisocial behaviour. so whenever we met, he always had a fight with people, an antisocial behaviour, and he had a really difficult time surviving in the society. He calls at any time, sometimes. Ten o’clock, 11:00. Doesn’t matter. Whenever he feels like talking, he calls me and then, he starts talking until one, 2:00 and then I don’t get to say anything. He just talks, talks, talks for about two, three hours. I get nervous. “Oh my goodness, what am I going to do if I answer it or not?”, but I had no choice. I’m a minister. I’m supposed to respond to that, you know. So I received a phone call and then he starts talking. Oh, my goodness. Oh, when is it going to end? I mean, he, he applies for a job, he is a mechanic. He gets a job and because of his antisocial behaviour in a week he gets fired and when he gets fired, he calls me. All you said was all about blaming everyone, none of his own problems. Everybody else sees the all bad, you know, they did this, Oh, a, I did that for about several months and then he was getting little, little, little, little, a little bit better, but almost I felt hopeless and helpless. See, I cannot just go on like this. I have my own life too, you know, I cannot once a, once a week I can’t do this. And then, and then, after he left the church and he left me, I was very sad. But also, relieved a little too, but sadder, right? Because I couldn’t really help him, but we’ve built a friendship. So after a while, he came back to me one day, he said, “Reverend, can you marry me? Can you marry me? This Friday.” That was Thursday or something like that when he asked me. “Tomorrow. Yeah. Yeah, yeah. Of course. Do you have any witness?” He said “No, I don’t have any. Also, I just called to two of my Bible Study Group. You will be with this. So I did the wedding and then she was about to 20 years older than him. She really changed him, the relationship he had with her through her. I mean she’s much older, but she understood what he was going through. She, she was the only one who could understand him. Everybody else was so judgmental. They could not help him. Well, she was able to handle that. So she was changing his life radically. “reverend I want to bring my baby. You’re the first person I want to show. Then he brought a baby. Wow, the kind of relationship we can shape. Wow. The beautiful relationships you create can shape the person in a beautiful way. When we build a new relationship with God, he will have a profound impact not only on you but also on your relationship with others. So who I am and the relationship I have are influencing each other. St Paul, after he met Christ in a real way, he met God in a real way. He said this, “I do not do the good I want, but the evil I do not want is what I do.” This is what Saint Paul said. He didn’t say, Oh before I’m at God, I was this bad. But after I met God, I’m this good Now, that is exactly opposite of what, you know, the, what Saint Paul said, I do not understand. I mean, before he said I’m good but now after meeting Christ, he said, I do not understand myself because I did not do the good I want, but the evil that I didn’t want to do that I do what does that mean? Paul was able to see himself in a naked way. He was awakened by his true self. He was not scared of his own darkness. That’s courage, isn’t it? He knew that his darkness cannot destroy him. That’s confidence, isn’t it? He knew the power of God’s grace working within him when he truly met God in a real way and build a real relationship with God. He was able to accept himself, no matter who he was, that is a power of grace, and then he became a very humble person and he saw others weaknesses and he could have empathy and compassion, and he lived his life with thankfulness. The point is, depending on what kind of relationship we have with God, we can have tremendous transformation within us, but you have very fearful relationship with God that will shape you in a different way when you have very superficial relationship with God that will shape you in a different way, but St Paul had a real relationship with God and that shaped him and showed him God’s grace. The transformation so powerful. St Paul said in Christ we are a new creation. The old has gone and the new has come. That transformation was so powerful that he was even able to say that we are a new creation. When we are comfortable with ourselves. We’ll be comfortable with our relationship. We don’t need to be so defensive. We don’t need to be so judgmental. We don’t need to be so angry all the time. You don’t need to live with a victim mentality. Now. When Jesus learned that the Pharisees had heard Jesus was making and baptizing more disciples than John, although it was not Jesus himself, but his disciples who baptized, he left Judea and started back to Galilee, but he had to go through Samaria, so he came to a Samaritan city, near the plot of the ground that Jacob had given to his son. Joseph. Jacob’s well was there and Jesus tired out by his journey was sitting by the well, it was about noon. A Samaritan woman came to draw water and Jesus said to her, give me a drink. When the true worshipers will worship the Father in spirit and truth for the Father seeks such as these to worship him, Lord in spirit, and those who worship him must worship in spirit and truth. The woman said to him, I know that Messiah is coming who is called Christ. When he comes, he will proclaim all things to us. Jesus said to her, I am he the one who is speaking to you. Just then his disciples came. They were astonished that he was speaking with a woman, but no one said, what do you want or why are you speaking with her? The woman left her water jar and went back to the city. She said to the people, come and see a man who has told me everything I have ever done. He cannot be the Messiah. Can he? They left the city and were on their way to him. This Samaritan woman, she came out to draw water at 12:00 at noon, but in Jewish, a climate, you don’t come out at 12:00 too hot. So most women came out in the morning, early in the morning when it is cool. She came out at 12. Why she didn’t want to meet anybody. At first when Jesus approached her, her rejection, you are men and you are a Jew. Why do you talk to me immediately? Just herself is very off. In other words, she did not want to associate with anybody. She was living in isolation. Jesus try to keep talking to her? But she was shut off. She didn’t say anything. Finally, Jesus, Jesus had no way, But to say that you have five husbands and then she was shocked. Nobody knew. And then Jesus knew. And from then on she started talking to her and then Jesus was talking to her as though she was a colleague. Jesus was talking about worship. Jesus was talking about salvation. Jesus was talking about the end of the world. Jesus was talking about Messiah all this important theological stuff. Jesus was talking with this Samaritan woman. She was engaged in that conversation. At the end of that conversation, she was transformed. How do you know? She threw away the water bucket and where did she go? She went to the town to meet people and talk to them about this Messiah. These are the people she did not want to meet. That’s why she came out at 12:00 and noon, but after the meeting, after building a relationship with Jesus Christ, she experienced tremendous transformation. She threw away that jar and she went back to the town and met people and related to them. When we meet God in a real way, then we can come out of the closet. We can come out of the isolation and only then we can build a relationship with others. When we, when I used to teach them the baptism, this is what I drew. I’m not a good drawer. You are alone and you die with Christ, When you rise with Christ, you are connected with people, you’re alone, but now you are in a relationship and that’s what real spiritual formation does. Before you were scared of people, now you overcome. They overcame that fear and now you can relate to people in a meaningful way. St Dorothea of Gaza??. You’re. You have that picture there, right? When you’re closer to God you can get closer to each other. When you get closer to each other, you get closer to God. They are both connected so you cannot meet God separately. When you’re closer to God, your relationship becomes closer and when your relationship becomes closer, you can get closer to God. Thanks. we can’t take the relationship for granted. We cannot treat, treat each other with our raw emotion. We cannot treat each other with our greed, selfishness, self-centeredness, indifference, arrogance and rudeness because these things destroy the relationship, not only what we do, but our inner attitude can destroy the relationship. Our judgment or attitude deeply seeded anger insecurity and all these things destroy our relationship to build a relationship. It takes time, energy, money, and everything. You don’t just throw away. I have to build a relationship. For example, you spend so much time and energy, you save a certain amount in the bank account. The next day we’ll just. We’ll just throw it away. You will not a relationship, the same thing. It takes time, energy and money to build a relationship. Just because you were ticked off, just because you’re a little upset, you throw away the relationship that’s dumb. We can’t do that. Sometimes we do that why? because we think that, oh, I can always have a relationship with anybody if not her somebody else, but the relationship to build another relationship. It takes that much time to build by throwing a throwing away relationship like that. We are back to zero. You have to start all over again. Your friendship or your relationship? Mike. $300, water, $2, relationship priceless. You are mysteriously precious. Each person is mysteriously precious. When we discover the treasure and they relate to each other in a meaningful way and you’re fulfilling Lord’s mission. That’s what God wants to do. God created each and every one of us mysteriously precious and we don’t see that and we treat each other like a garbage. When is a precious diamond? When we discover that beauty and preciousness and relate to each other in a meaningful way, then our life will turn around. It’ll be more, much, much more abundant and blessed life when we are able to build a relationship in a new way. So this is it for tonight first tonight, tomorrow I’m going to talk about then what is that relationship?